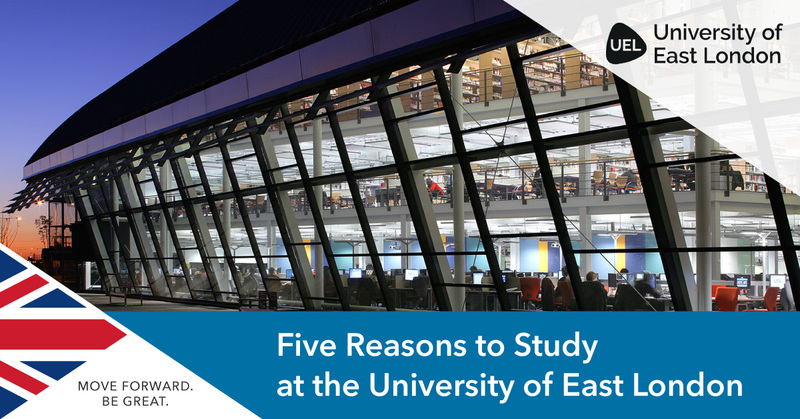 Why Study at the University of East London? The University of East London (UEL) is an internationally recognised UK university which currently has 17,000 students from 135 countries enrolled. Known for its strengths in the areas of psychology, architecture, media, fashion and sports science, UEL is ranked the best university in London for international support and you can learn more below about why so many international students decide to study here. You can meet the University of East London at our forthcoming January Entry Open Day at SI-UK London! Register for free entry to book your place, and visit us in London or Manchester for a free consultation prior to the event so you know the right questions to ask. Ranked as the 'Best Modern University in London' by the National Student Survey 2018, 2nd in the UK for teaching quality (Times Higher Education Young University Rankings) and in the world’s top 200 young universities (Times Higher Education Young University Rankings 2018), UEL is recognised in the UK and around the world for its achievments. UEL has the happiest students of any modern university (post 1992) in London after another great performance in the 2018 National Student Survey. UEL students gave the university an ‘overall satisfaction’ rating of 85%, meaning it is top in London amongst its eight modern universities! The University of East London has two campuses, based in Stratford and London’s Docklands, both modern and both a short journey away from the centre of the city. The University is also one of the few which are based in the heart of the city to offer on-campus accommodation, with a 24/7 security and residential team always ready to help. Not only does UEL have a fantastic teaching staff, many of them are also leading researchers in their field, as reflected by the Research Excellence Framework naing 94% of UEL’s research ‘internationally recognised’ or higher following the last national report in 2014! Are you interested in studying at the University of East London? If so, you can meet them at our forthcoming January Entry Open Day at SI-UK London! Register for free entry to book your place, and visit us in London or Manchester for a free consultation prior to the event so you know the right questions to ask.